Next I took my iron on vinyl and followed the directions on the back. I covered both sides of the muslin in vinyl for extra strength. 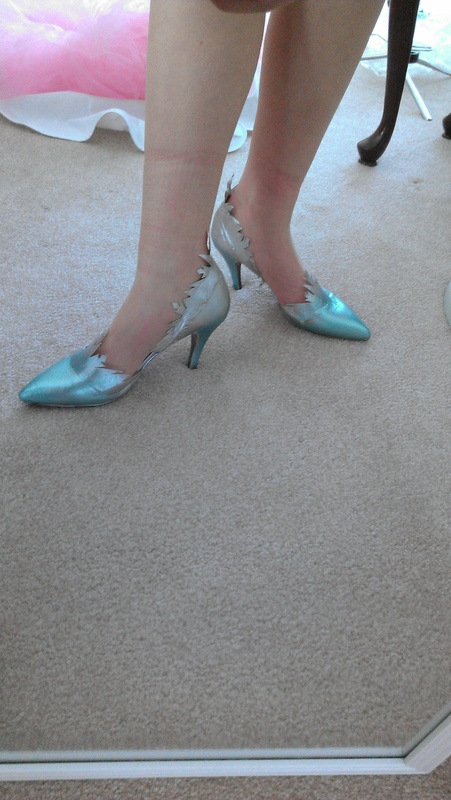 Be sure to leave about an inch of iron on vinyl over lapping on the front so you can attach it to the shoe later. Now you attach the vinyl to the shoe via iron. 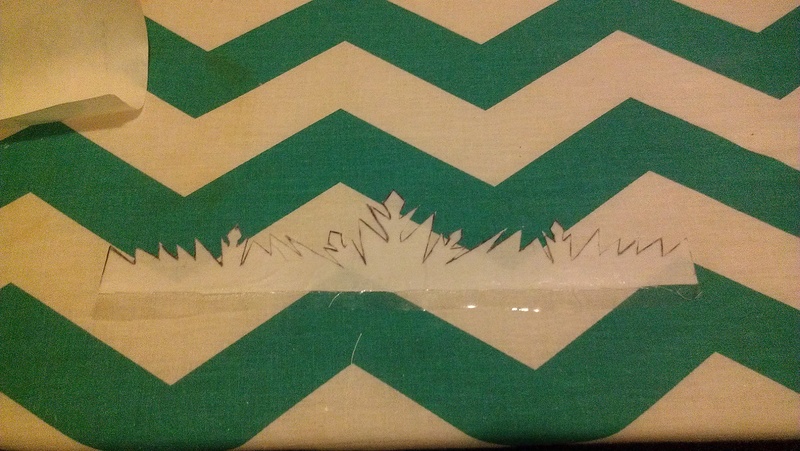 Do not let your iron touch the vinyl directly or it will melt and ruin your iron. It is an easy task just make sure to go nice and slow so the vinyl does not bunch up. If a section did not stick all the way just be very careful and only let the iron touch that section to re-iron it down. After this step the rest is pretty easy! I added 1 layer of white acrylic paint so the silver and blue paint would stick better. Now comes the fun blending part. 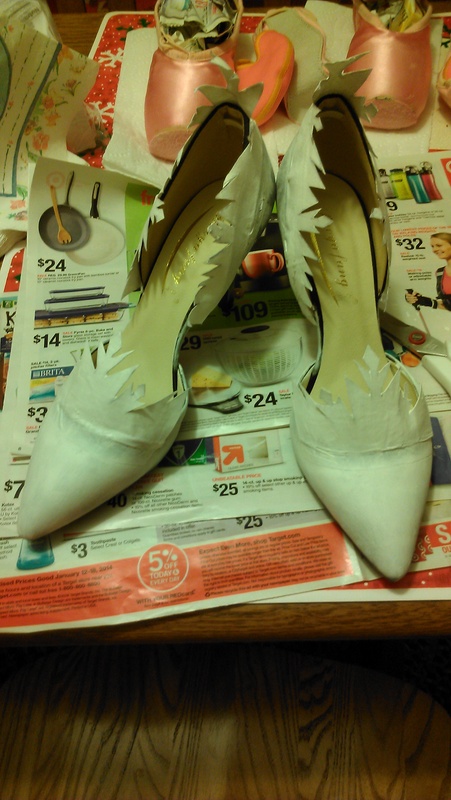 I cover the entire shoes in 2 – 3 layers of the silver metallic paint. Then for the tips and back of the shoe I added a blue ombre effect with a sponge brush. Again this step does not need to be perfect because you are covering the shoe in glitter next. I personally think the shoes look just as good without glitter though. The final step! I took the shoe box and lined it with a plastic bag and one shoe at a time I covered them in glitter. I took my sponge brush and did about 1/4 of the shoe at a time. I added the mod podge lightly and sprinkle the glitter on top. After I was done with the glitter, I shook the shoes out and looked for any areas I may have missed. I made my finishing touches and seal the shoe with the mod podge. The mod podge dries clears, is fairly water proof, and flexible. Of course some glitter will fall off but you will be leaving glitter everywhere if you do not seal it. And they are done! It took about a day and a half to make. I would say it is only a 4-6 hour project but you have to let everything dry which spaces out the time quite a bit. 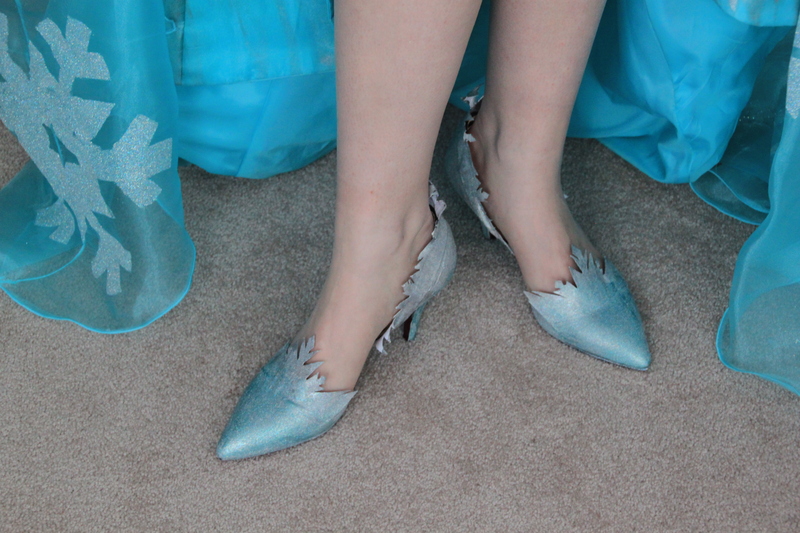 Thank you so much for all the details on how to do Elsa’s shoes! 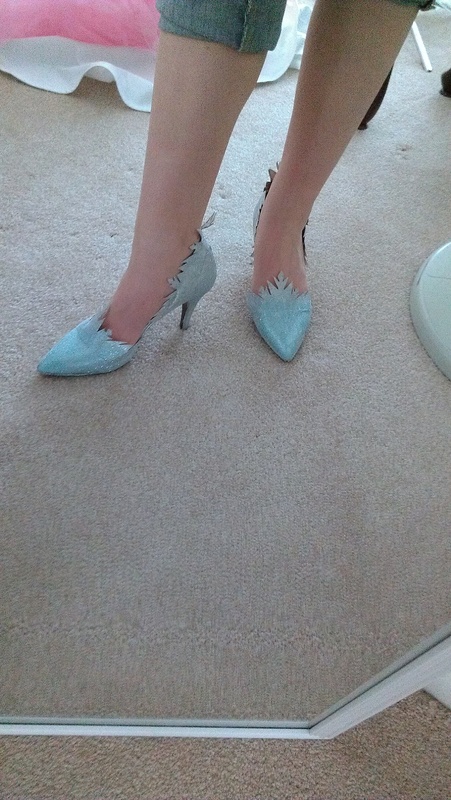 I used your tutorial to make my own Elsa shoes. They’re not exactly like yours, but they were inspired by you. 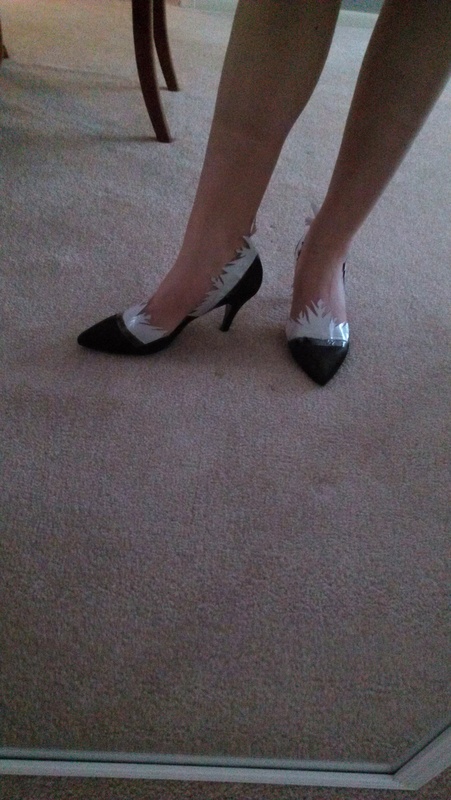 Everyone that commented on my shoes I would tell them the idea wasn’t mine, it was from a tutorial from an awesome cosplayer I found online. Hello! My name is Reba, and I live in the Cleveland area and currently attend college. I have been sewing and crafting seriously for about a year and half now. I enjoy everything ruffly, cute, lacy, sparkly, and mermaid related. I also really enjoy bunnies. I will try my best to update and answer any questions between studying.